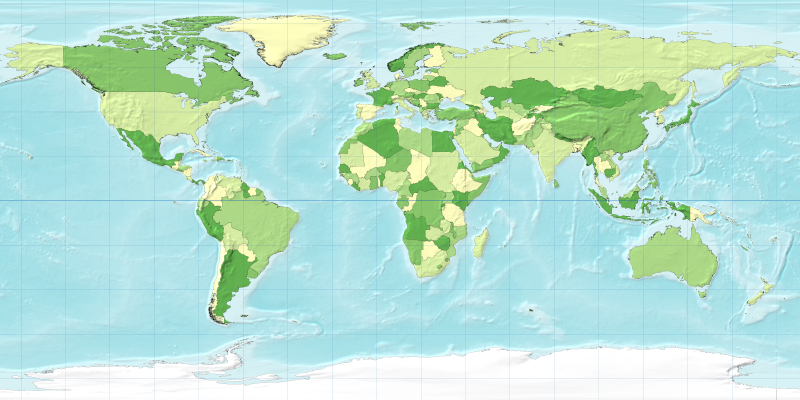 This approach was used to create the simpler Worldmapper Project collection of cartograms. 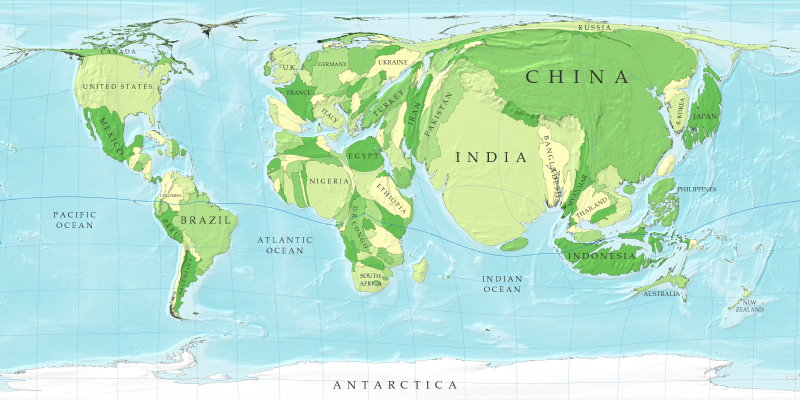 A series of their population cartograms are showed below. Information and code for the cartogram algorithm are available on Michael Gastner’s website. 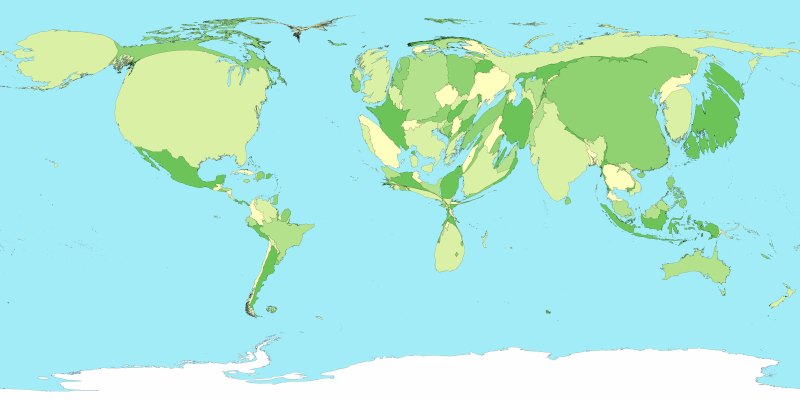 See also this earlier post on visualizing ecological footprints. 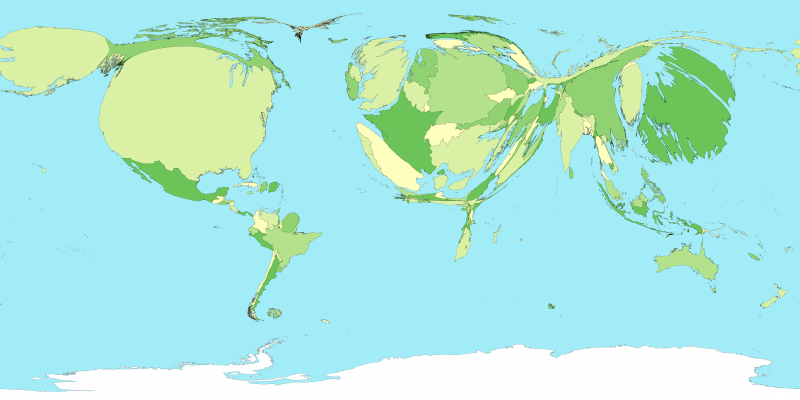 Thanks for making these cartograms available!